Susan Josephson, die jüngste Tochter von Felicitas D.Goodman, hat ein neues Buch geschrieben. Ihr könnt auf Amazone einen Blick hinein machen. 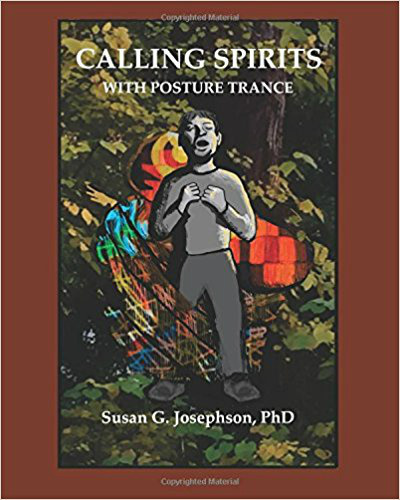 Susan Josephson has a Ph.D. in philosophy from The Ohio State University and was a Professor of Philosophy at the Columbus College of Art and Design until she retired in 2011. She has authored and co-authored articles and books on artificial intelligence, advertising, and art, including the book, From Idolatry to Advertising. She has illustrated several books, including The Ecstatic Experience by Belinda Gore and My Last Forty Days by her mother, Felicitas D. Goodman. She has also written a graphic novel, Pueblo Spirits in the Life of Felicitas D. Goodman and articles for the Cuyamungue Institute and the Austrian Felicitas D. Goodman Institute newsletters. Susan recorded the YouTube video Buffalo Wisdom to celebrate the centennial of her mother’s birth. We are out of balance with global warming, war, displaced peoples, ethnic andracial distrust and violence. This is not surprising. We are at the beginning of the new age foretold by the Lakota Sioux White-Buffalo-Calf-Womanprophecy. My mother, the anthropologist Felicitas D. Goodman, believed in this prophesy although she died in 2005 before the last two white buffalo were born. She believed that after her death she would become a buffalo spirit and ride the wind with her herd.